To make sure your vehicle stays in tip-top shape throughout your entire ownership experience, the automotive experts in our car service and repair department will always have you covered. From providing you with the latest Chrysler, Dodge, Jeep, RAM parts to making sure your car is maintained for peak performance, they are truly a driver’s best friend. We know full well that buying a new vehicle is one of the biggest and most important investments you can make. 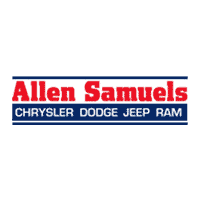 Here at Allen Samuels Chrysler Dodge Jeep Ram, our financial experts will guide you every step of the way to get you behind the wheel in a way that you’re completely comfortable with. Thanks to our wide selection of car loan and lease options to choose from, owning the car of your dreams has never been easier. Those in search of a new Chrysler, Dodge, Jeep and RAM vehicle in Hutchinson, Wichita, Park City, Newton and McPherson don’t need to look any further. Here at our dealership, we have a wide selection of vehicles to choose from, and a team of specialists who have the knowledge and expertise to assist you throughout your car buying experience. Of course, we don’t limit ourselves to new and used car sales. You can also find auto finance options, car service, auto repair, and access to parts and accessories you need for your vehicle.New car smell is great, and we’ve got a range of new 2017-2018 Chrysler, Dodge, Jeep and RAM vehicles that will delight your senses. But we think feel is really where it’s at when you’re dealing with a new 2017-2018 RAM 1500, RAM 2500, Jeep Grand Cherokee, Dodge Journey or Chrysler Pacifica model. That’s why the Allen Samuels Chrysler Dodge Jeep Ram sales staff is here to point you in the right direction and to assist you with the next step. After all, once you find Chrysler, Dodge, Jeep or RAM that looks right to you, you’re going to want to get behind the wheel to see if you get that new car spark. If a new car isn’t tickling your fancy, a vehicle from our broad selection of used Chrysler, Dodge, Jeep and RAM inventory is sure to do the trick. There are many advantages to opting for a pre-owned auto, including a cost savings. Moreover, each car we offer at our dealership in Hutchinson exceeds our strict standards for quality, reliability, and performance. We know full well that buying a RAM 1500, RAM 2500, Jeep Grand Cherokee, Dodge Journey or Chrysler Pacifica is one of the biggest and most important investments you can make. Here at Allen Samuels Chrysler Dodge Jeep Ram, our financial experts will guide you every step of the way to get you behind the wheel in a way that you’re completely comfortable with. Thanks to our wide selection of car loan and lease options to choose from, owning the car of dreams has never been easier. But it isn’t our diverse new and used Chrysler, Dodge, Jeep and RAM lineup or even our many auto services that set Allen Samuels Chrysler Dodge Jeep Ram apart from the rest. It’s our unequivocal commitment to the customers we serve from the Wichita, Park City, Newton and McPherson area. 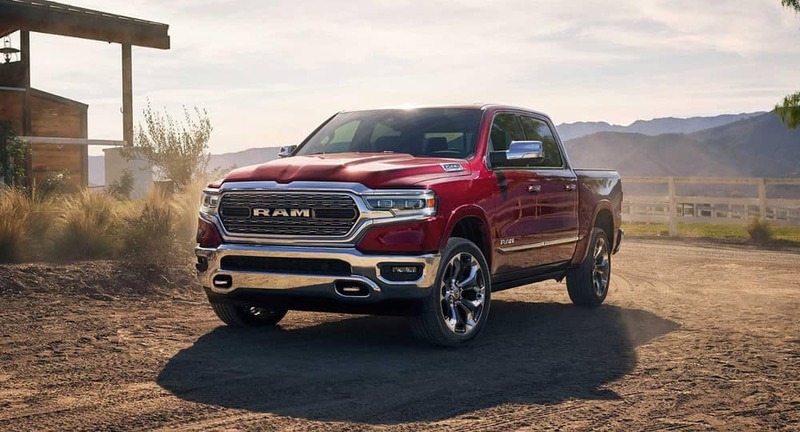 At our dealership, we don’t just want you to enjoy your new RAM 1500, RAM 2500, Jeep Grand Cherokee, Dodge Journey or Chrysler Pacifica, we want you to enjoy the entire experience of buying it. Visit us at 1421 E 30th Ave in Hutchinson, KS today and let us treat you right.